My husband and I just recently watched Mildred Pierce together. The version that we watched was the HBO mini-series first released in 2011. It had 5 parts to it that for the most part were 1 hour each so it didn't take us very long to get all 5 episodes finished. Over the course of a couple of evenings we were engrossed in the twists and turns of the plot. Kate Winslet played the divorcee in this adaption of James M. Cain's classic novel from 1941. Oh the struggles that poor woman went through! The story takes place during the depression so life is pretty darned tough for everyone. Mildred lives in Glendale, California and is struggling to make ends meet by baking cakes and pies for neighbors and friends. She has a good business sense about her and eventually starts her own restaurant which is a huge success even in the dire economic climate of the 1930's. No small feat for a woman back then! Mildred has a daughter named Veda that is just the most spoiled rotten kid you would ever want to meet. Veda is very demanding and wants a much better life for herself and she will stop at just about nothing to get what she wants. Her mother, Mildred, makes so many sacrifices trying to give Veda what she wants but it just never seems to be enough. Throughout the story that girl betrays her mother so many times! We, my husband and I, really enjoyed watching this HBO version of this classic book and film but I have to admit that I really liked the original movie from 1945 that starred Joan Crawford better. 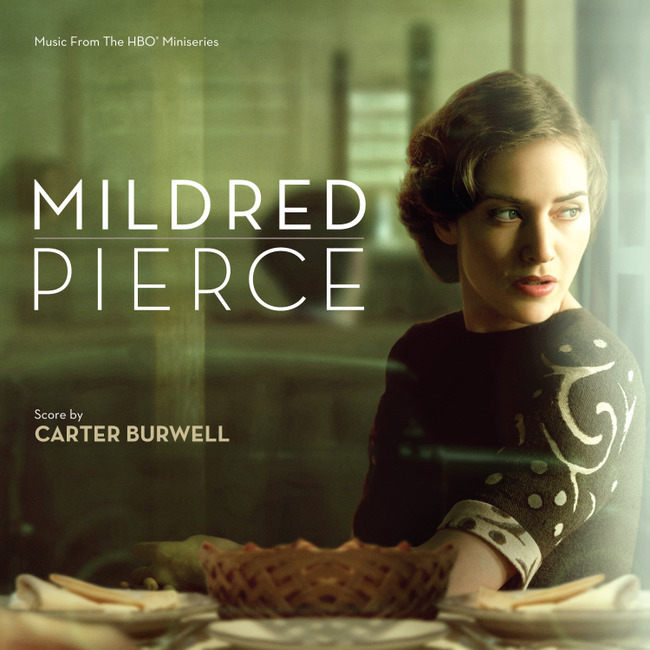 Crawford won the Best Actress Oscar for her portrayal of Mildred Pierce. In fact, the movie was nominated for 6 Academy Awards that year. I have not read the original novel but I think that I might put it on my reading list because I loved both of the adaptations of it so much. What I find remarkable about the story or plot that James M. Cain gives us is that he wrote it in 1941 at a time that we just didn't see the real struggles of a single mother portrayed in book or movie form. Having been a child in a single parent home, he pretty much nails just how hard it is and was for a woman to get by back then. Being an antiques enthusiast, we really enjoyed the costumes and set designs in the mini-series, too! Oh my goodness! I kept noticing things that people collect now. There was one scene where Mildred is serving some coffee or tea and the pot is a Jewel Tea Autumn Leaf long spout tea pot that so fits the time frame of the story! She served the beverage in what was then Anchor Hocking mugs but would later become Fire King. It was the attention to detail in the surroundings that made the series so enjoyable. Sure, we loved the plot itself but those little period things just really added to the entertainment factor. The architecture was to die for! So, if you love a good drama I can highly recommend watching either the original movie or the HBO mini-series of Mildred Pierce. You won't be disappointed in either version. Oh, wow! Not only did you just introduce me to a new movie that I am sure to enjoy, but you gave me a book to add to my reading list! That is always so very exciting for me. As I was reading, I kept thinking which would I rather watch first. Kate Winslet (who I always love) or Joan Crawford. Your description of the antiquities used in that later mini-series has sealed it for me. I will watch Kate first! A Most Excellent review Bev! Thank you for the recommendation. What an interesting sounding series. I remember stories my dad told of growing up during the great Depression, so it would be interesting to see a story set in that time period. Just added this to my watch list. The 1940's is my husband's favorite decade, so he might even watch this with me. I'm looking forward to it. Thanks for the excellent review!